A boy and his dog have had their fill of a snow-filled winter and as soon as the brown earth shows, they plant a garden. 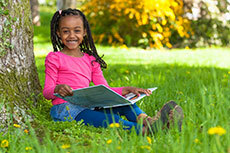 Poetic text closely observes changes in a rural setting. Illustration with various textures give tactile look. How do you peel a raw egg? Does air take up space? Can I blow up a balloon without blowing into the balloon? You just need a few household items and you can recreate dozens of mind-blowing, kid-tested science experiments. Restorative powers of the natural world. Louv also wrote Last Child in the Woods on reconnecting kids with nature. Baltimore orioles are 6 to 8 inches in length with a wingspan of 9 to 12 inches. Baltimore orioles eat lots of caterpillar larvae that cause damage to trees if their numbers aren’t kept in check. They prefer to live in open woodlands and also do well in parks and backyards. The nest they make is sock-shaped and is woven with many materials and is often lined with feathers and fur. Each nest holds three to seven eggs. 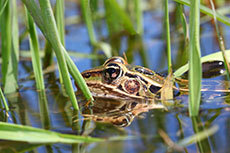 They are diurnal meaning that they feed during the day and rest at night. The Baltimore oriole earned its name from Lord Baltimore’s coat of arms color scheme which closely resembled the colors of the bird. The major league team Baltimore Orioles is named after the bird. 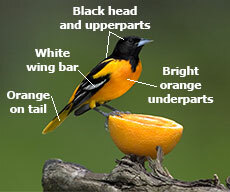 The team also carries the colors of the Baltimore Oriole. 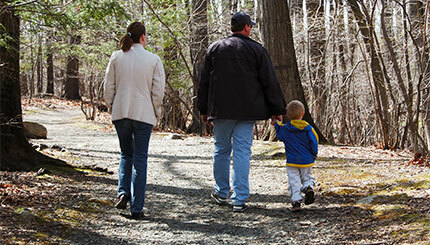 Join us on May 17th for a fun and family-friendly morning as we explore the Silver Creek Biodiversity Preserve. 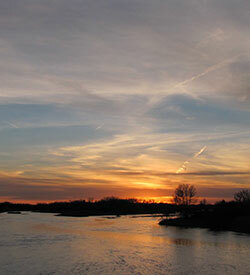 We will look for the many migrating and resident birds found there. From 8-11:00 a.m. you can join a guided bird tour or take off on your own and look for our featured friends. Maybe you can spot our bird featured below in the Beginning Birder section. We will be giving out FREE "Illinois Birds" pocket guides while supplies last. If you get hot, we’ll have a shady rest area, as well as a restroom, drinks and snacks. The date of the festival should be give you a chance to see birds like the Carolina Wren, Wood Thrush, Eastern Wood Peesee, and Baltimore Oriole. The preserve is located about two miles south of Leaf River. The new parking lot is off of Leaf River Road. 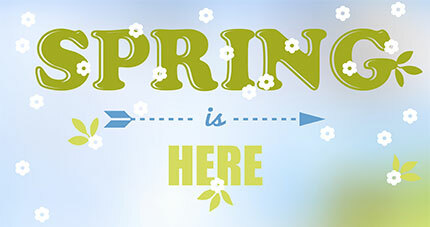 If you have any questions, call Mary and Keith Blackmore at 815-938-3204. Join us on May 24th in the parking area of the Newell Tract of the Oakdale Nature Preserve at 9:00 a.m. (This is the part of Oakdale on the west side of Crane’s Grove Road.) 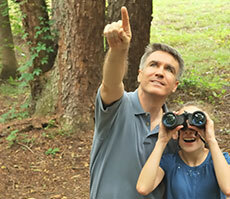 Kids will look for birds and other neat stuff until 10:30 a.m. 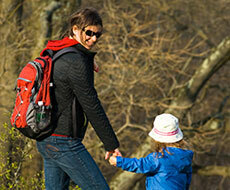 Leaders Carol Redmore and Keith Blackmore will join the kids on the morning walk. We hope to see you there! I have red on my wings. I like to be near water. I like to live in the open, away from the trees. I like to eat mealworms. I have a rosy-red breast. I just come through Oakdale on migration. I have a dark gray back and red-brick breast. I like to eat worms. I have a solid black cap, white cheeks and black throat. I am little and friendly. I have a black head and upperparts, a white wing bar and bright orange underparts. I love to eat oranges! How about this creature we might see? My eight simple eyes help me see to the front, behind, below, above and to the sides. I have eight legs too. I eat lots of insects, many of which carry diseases or are harmful to plants. I'm really not such a bad fellow. I am able to breathe and drink through my moist skin. I have two webbed feet, four legs, two eyes and a backbone. I'm green and live in and out of water. Jelly is one of the most effective oriole foods you can offer. 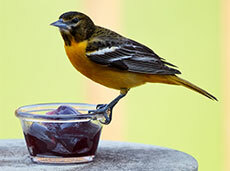 Smooth grape jelly is best, but the birds will also take orange marmalade or red cherry, strawberry or raspberry jellies. Offer jelly in small dishes, in a hollow orange rind or smeared on an orange half and the orioles won’t be able to leave it alone. Do not, however, offer sugar free jellies; it is the sugar that gives the birds the necessary energy and calories they need. Ideally, organic jellies are best.